Story Factory: a celebratory workshop for children incorporating creative writing, art, music and FUN! With the Arundel Festival celebrating its 40th anniversary and the castle marking its 950th year, the theme for Story Factory’s imagination-inspiring workshop on Sunday 26 August will be HIP HIP HOORAY! 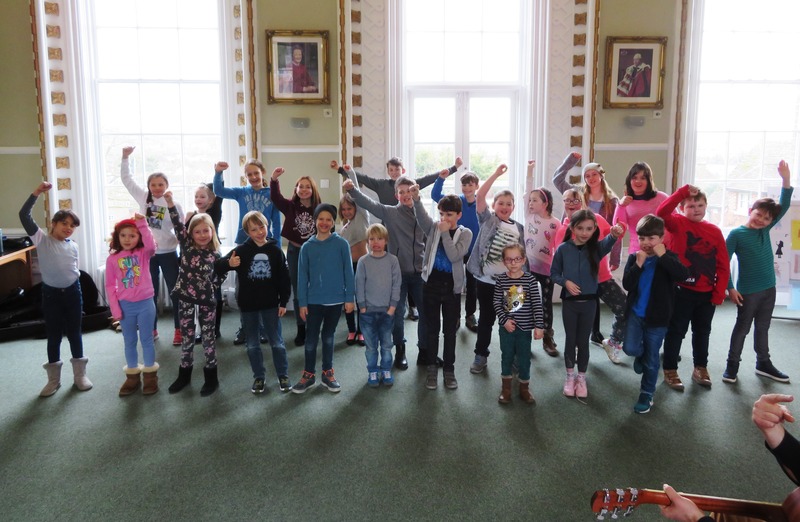 Taking place at the Town Hall, the bank holiday Sunday session will focus on celebrations throughout history, and young creatives should prepare to party their way through a day filled with games, story making, art and music. Led by Story Factory’s resident practitioners, occasions from weddings to wakes and birthdays to bingo wins will be the key ingredients of inventive fun and activity. Started by four years ago as a one-off workshop to gauge interest in storytelling through different mediums by Vicky and her partner in story-making crime Katy Lassetter of Chichester Copywriter, Story Factory has grown into regular and highly-popular workshops that allow children to explore their imaginations, giving their creativity a free rein. Both ladies agree that as creativity continues to be squeezed out of many school curriculums, Story Factory has an increasingly significant role to play. “For children to be able to express themselves freely and to create something rooted in their own experiences and emotions has been proven to have a positive impact on their mental wellbeing. Being creative helps children manage their feelings and supports mental growth by offering opportunities to explore new ideas and their own imaginations,” said Katy. “Through Story Factory children are encouraged to embrace their uniqueness and to understand that there is no limit for ideas. If you can’t write it, draw it and if you can’t draw it, sing it. If you can’t sing it, dance it – or model it, mime it, knit it or record it – there are so many ways to tell stories and it doesn’t matter if you are not a keen reader or writer,” said Vicky. Price: £30 per child (10am-4pm). A limited number of partially-funded and free places are available to low income families on a first come first served basis. The workshop will take place on Sunday 26 August. For further details see www.facebook.com/StoryFactoryChichester Booking: Email Katy or call 01243 533421. This entry was posted in Chichester Copywriter gets Creative, Story Factory Chichester. Bookmark the permalink. ← How will the GDPR affect marketing?